Detailed demographics on the users behind millions of apps. 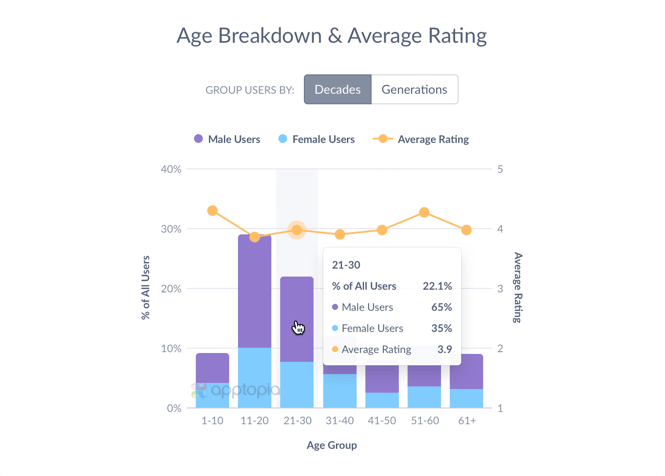 Get insight into the age and gender breakdown of any apps’ user base, including average ratings by cohort over the last 30 days. Supercharge user acquisition with hyper-targeted marketing campaigns. Analyze demographic trends to inform feature development and stay ahead of the competition.